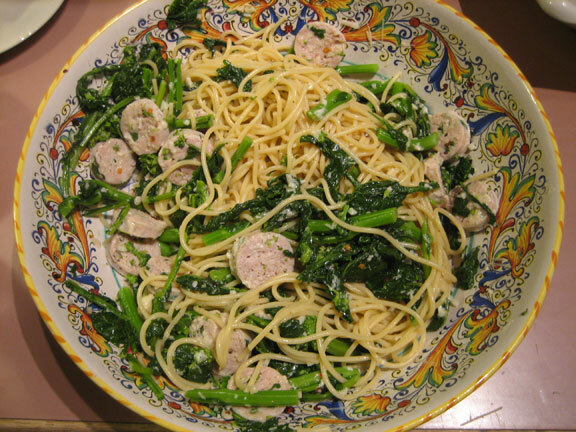 my favorite way to eat rabe is with pasta and chicken sausage. yum! 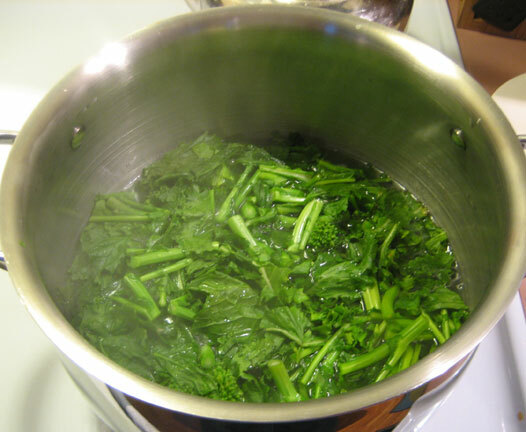 chopping it into 2″ pieces and blanching it for 2 minutes is key. it gets lightly cooked and remains fresh and semi-crunchy. meanwhile i boil two sausages and put a pot on high for pasta. i mince some garlic and heat olive oil in yet another pan. 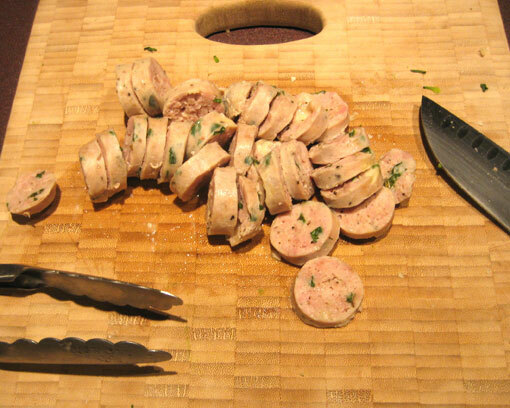 when the sausage is done i slice it and set it aside. when the pasta is almost done i add the garlic to the olive oil, then the rabe and the sausage, tossing it all together. i like to add some red pepper flakes and salt too. once the pasta is done i drain it and put it and the sausage mixture into a large bowl, tossing it to combine. then i add parmesan cheese and a little lemon juice. it’s an easy delicious meal that we love. i’m so glad i tried rabe at the market! I had kraft mac and cheese for lunch. Your food looks much better. Once I tried making homemade (no preservatives) mac and cheese and Sofia threw the bowl on the floor and complained it wasn’t orange enough. Luckily the dog didn’t mind and ate every last noodle from the floor. I did do homemade guac last night in honor of cinco de mayo. Miss you! I’m planning to be home for three or four weeks near the end of July.